Unlike anything currently available, A Critical Companion to Tim Burton is a comprehensive, up-to-date analysis of all the works of one of the world's most renowned directors and artists. 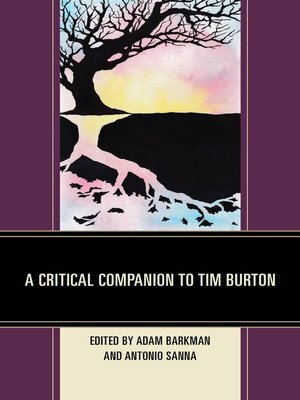 Written by some of the top scholars working in fields as diverse as philosophy, film and media studies, and literature, all chapters of this book illuminate for both scholars and fans alike the entire artistic career of Burton, giving attention to both his early works and his global blockbusters. Adam Barkman is associate professor and chair of the Philosophy department at Redeemer University College.Antonio Sanna is a regular contributor to Interactions: Literature and Culture, Kinema and The Quint.